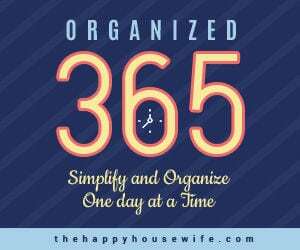 The following is a post from contributing writer Jami. If you are looking for a fun gift, or cute and customized labels for organizing, you’ll love these wooden chalkboard tags. They are an easy and quick craft and end up looking like you spent a lot more time and money on them than you did. 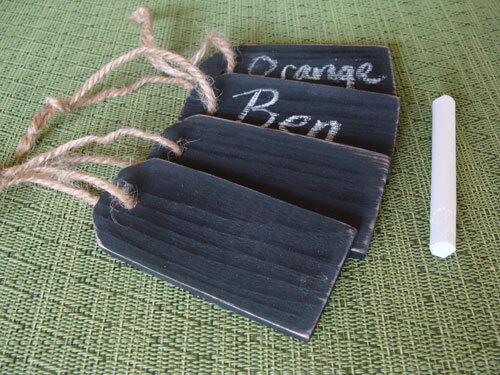 Chalkboard tags can be used in a number of ways, such as napkin rings, drink ID tags, and basket labels. Packaged together with some chalk in a cute container like the vintage canning jar above, they make a great gift. I’ve seen versions of these advertised in catalogs and online selling anywhere from $15.00 for six to $28.00 for ten. How much can you expect to pay for this DIY version? How about…nothing! If you’ve got small pieces of scrap wood, a can of black paint, some garden twine and even dollar store chalk lying around like I did, you can use up your surplus and make six gifts (four tags each) for others or 24 tags for yourself. 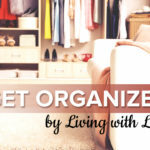 This is a green-and-frugal girl’s ideal project for sure–cute, cheap, and usin’ it up! Wood: 1/4-inch thick by 1-1/2 inches wide scrap lath or lattice pieces in any length you have (8 feet will produce twenty-four 3-1/2-inch tags). If you don’t have scrap wood (or know someone who does), you can do one of two things: buy an 8-ft. piece of lath/lattice at a home store for about $6.00 (which you’ll get 24 tags from) or purchase ready-made wood tags online or at a craft store (about $3.00 for ten 3.25-inch long tags). 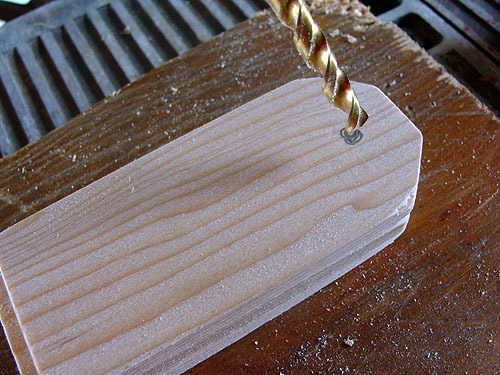 Note: If you are using pre-made wood tags, skip the first three steps. 1. 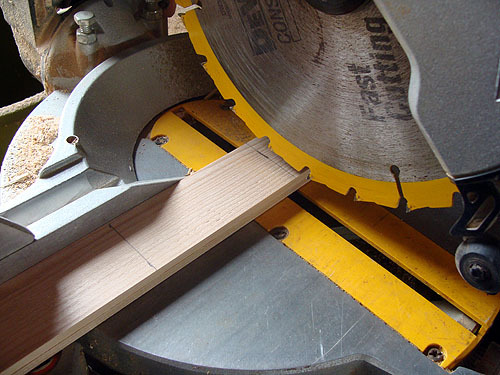 Mark the wood in 3-1/2 inch increments and cut with a miter saw (or use a miter box and hand-held saw). The key to using a miter saw (girls + tools = power!) is to have the blade running before touching the wood and then slowly lowering the blade into the wood. The slower you go, the less the wood will splinter. 2. Mark the angles you want with a pencil on one side only while holding two pieces together. Tip: use a shipping tag as a guideline. Flip them over and mark the opposite side on the bottom (doing this avoids having to change the angle on the miter saw). 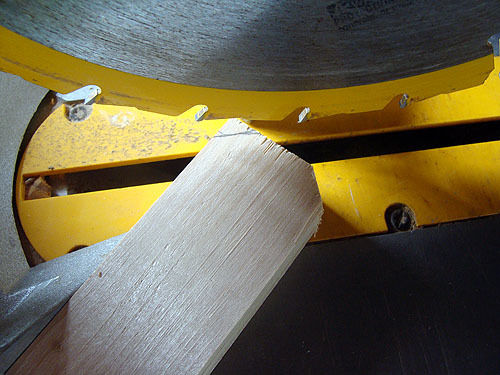 Set the miter saw at a 45 degree angle and line up the saw with the pencil mark. Cutting the two pieces of wood at a time, slowly cut the corners off at the marks. 3. Drill the holes. Eyeball where you want the hole to go (or use the shipping tag as a guide) and mark. Line up 3 or 4 tags at once and lay them on top of a piece of scrap 2×4 wood so the drill has something to go into when drilling the last hole. Holding the tags firmly to keep them from moving, drill through the tags where marked. 4. Sand all the tag edges and holes to ensure an even and smooth finish. Tip: I use a 2×2 piece of wood about 6-inches long and wrap the sandpaper around it for easy sanding. 5. 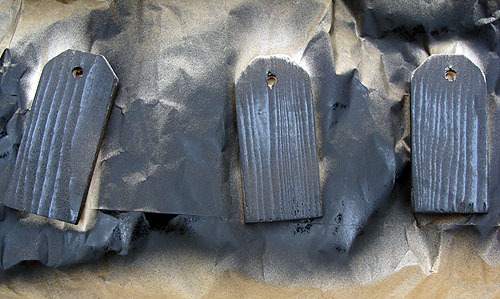 Spray paint the wood tags with regular black flat spray paint. It’s about half the cost of specialty chalkboard spray paint, works just the same, and you’re more likely to have some on your shelf like I did. Spray one side, let dry and then spray the other side, making sure to paint all the edges. Let dry thoroughly. 6. Thread the holes with jute twine, distress the tags, if desired, by rubbing sandpaper along the edges, and package with chalk for a gift. Or use them yourself to label pantry items, craft items, or kid’s toys. With either regular flat paint or chalkboard paint, the chalk writes on these easily and wipes off with a soft cloth. How would you like to use these tags? These are great! I love crafting new things with supplies I already have.